Checkered block designs detail the headboard and footboard of the Grove Bed. The geometric pattern uses the collection's unique wood grain feature to create a dynamic bed. 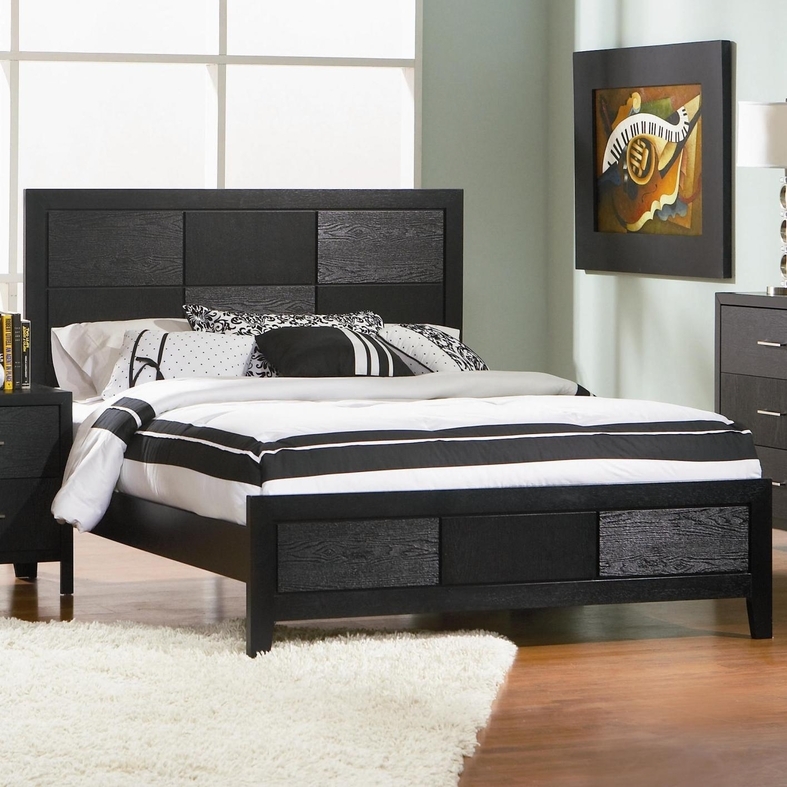 The bed's sleek, simple frame gives it basic shape with a black contemporary finish. The simplistic design with an innovative finish and grain pattern makes the Grove Bed a timeless design for the bedroom. This bed is available in Queen, King, and California King sizes.